QHY23M is a monochrome CCD camera with large Sony ICX814 sensor compared to other brands cooled CCD cameras. Perfect for those who want to advance in astrophotography with a higher performances camera, it has a 12,48 x 9,98mm sensor and, thanks to a cooling system with double Peltier cell, you can set the sensor temperature up to -45°C in respect of the external temperature! This way you can capture your best images with very long shutter speeds, being sure to minimize electronic noise! 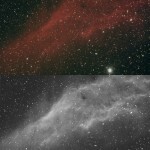 People starting in astrophotography, often look for an affordable and easy to use solution. Budget camera have very small sensors that only allow you to frame a small field but also make it difficult to fit quite a lot of deep-sky objects or, more simply, even point them in the sky ! The QHY23M monochrome CCD camera changes the rules as it provides, at a great price, one of the largest and not too expensive CCD sensor on the market, combined with the cooling system with double Peltier cell (which reduces a lot the electronic noise in long exposures typical of astrophotography), with an advanced electronic with 16 bits A/D converter and to a very compact and light body. The main feature of QHY23M CCD camera is the large sensor (with a resolution of 9.2 mega pixels - 3380x2704), larger than other cooled CCD cameras by other brands and comparable price: the QHY23M in this way allows you to frame a larger field. Moreover, thanks to the small dimension pixels, this sensor is ideal fto record even the smallest details. Imaging deep sky objects (galaxies, nebulae or star clusters) you need to use very long shutter speeds (even above 10 minutes). In these cases, the electronic noise management is critical. The double Peltier cell cooling system allows the sensor to cool down up to -45°C relative to the ambient temperature drastically decreasing the noise. This, combined with the low electronic noise typical of Sony sensors and the special thermal design of QHY23M, allows you to record low noise images even at very long shutter speeds. The cooling system of QHY23M also allows you to set exactly the sensor working temperature: in this way you will be sure that the camera will record all pictures at the same temperature, no matter how varied the outside temperature. This is critical to correctly calibrate the photographs being processed. 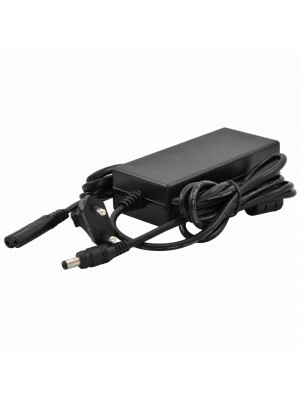 One of the strengths of this camera is the low power consumption, up to only 2A/h at full cooling operation. The QHY23M comes with EZCAP control software for Windows. The software, developed specifically for the cooled QHYCCD cameras, allows you to control all the camera's acquisition parameters, precisely focus the image and record images (including sequences) according to the shutter speed you want to use. This is a light and simple to use software, perfect for both astrophotography beginners and experienced amateur astronomers. The camera also have ASCOM drivers that allow you to control it with softwares like MaximDL or AstroArt. QHY23M camera comes with all accessories to use it. In the USB pen, you will find drivers, control software and user manual.